It’s been awesome few days here in Southeast Wisconsin on Lake Michigan’s west shore. After a slow start to the salmon season our fall kings are feeding aggressively and a lot of anglers are getting into big fish and good numbers of them. With a very warm September the bite started out slow taking a long time for the water to cool down. Last week west winds and a few rain events brought us change for the better. The water cooled from 66 to 50-55 degrees, drawing the fish near shore. West winds pushed the warm water out producing an upwell of cooler water inshore, in combination with fresh water flow putting the fish into a feeding frenzy. Casting crank baits for the last few weeks has been producing many of the fish. With our recent changes in conditions, the egg bite has taken off in the last week. The bite overall was slow when the water was in the 60s, but things changed in a hurry. In September the salmon were mainly being taken casting and trolling spoons, crank baits and plugs, but the egg bite is here now and it’s going to stay. 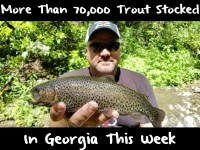 This has been the first week where we’ve had cool water and ideal conditions for the bite. We are catching four and five year old salmon now migrating inshore from Lake Michigan to complete their life cycle. Previous years catching 15-20 pound fish was very common. This year we are catching a lot of fish between 20-30 pounds with 15-18 pounds being an average for the mature fish. Many big males up to 30 pounds have been caught this year; and it’s not uncommon to catch a 20-25 pound female. 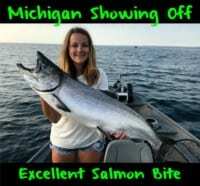 The best bites are found in Racine, Kenosha and Milwaukee Harbors estimating the salmon season will stay strong going into the first of November. Fish seem to be making the push spawning in waves. We are still catching pre-spawn fish fresh from the lake. Like most years, by the middle of November we’ll be towards the end of the spawn. This time of year working skein is more effective than casting crank baits. As fish progress into the spawn, the crank bait bite fizzles out. Working skein truly is an art, from the curing process to rigging correctly on the water. In fact it is just as fun as casting cranks or spoons in my opinion. More times than not, the bite is quick and very light requiring an angler be quick on the trigger. Nothing is more fun than a huge King Salmon “rattling” your float setting the hook, soon having a fish stripping line with the drag screaming. I have had huge success working with Duane Inglin’s Fire Cure recipe http://youtu.be/-5hnkamp-9c. My go to colors have been orange and pink Fire Cure. Early in the season, obnoxious colored baits such as bright pink, yellow, fire tiger, etc. catch fish consistently. With stained water out here, the brighter the skein the better. Curing eggs in bright, obnoxious colors works well producing ferocious strikes. Fish are still in skein so I have been butterflying the skein before curing, cutting pieces while in the boat to rig while fishing. I have yet to catch female dropping eggs to date. I use a large piece of skein on the hook; on the larger side, around the size of a Ping-Pong or golf ball, adjusting size with the bite. The importance of the big baits is high, especially for larger fish. I will use skein very wet which “milks” extremely well, but can be a challenge keeping the bait on the hook. Air drying the skein can help “toughen” it up which will produce a more tacky egg, but will not milk as much. Soaking the “tacky” eggs in red Pautzke Nectar can add that “punch”. Most of the time, I fish the skein high in the water column; for instance, fishing the skein four to five feet down in about 10 feet of water. At times I will fish eggs near the bottom. Fishing skein, I prefer Octopus Circle Hooks such as an Eagle Claw L1 in a size 6-2 depending on the size of bait being presented increasing hook up percentages and presenting the bait effectively. Using an egg loop knot cinching the skein on the hook or simply threading the bait onto a snelled hook two-to-three times burying the hook in skein. No doubt the fish are eating the bait; in short order fish are being hooked deep inside the mouth. I look forward to this rite of fall every year producing mammoth fish being caught on light stand up tackle. Introducing my clients to this “World Class” fishery is truly addictive certainly getting anglers “hooked” year after year! Editor’s Note: John Reddy operates Reddy Guide Service out of Southeast Wisconsin. 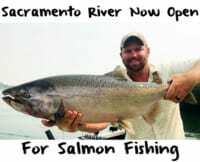 For more info on his fall salmon trips please visit http://www.reddyguideservice.com/.